We are offering a retreat that dives deep in Yoga. This immersion will highlight 'the true essence of yoga' the orientation of our own, direct truth of Being. We have invited tutors and teachers living deeply in their realisation and knowing to support this in a 3 day program. It's an opportunity to dive deep into authentic spirituality and to open the door to the profundity of Direct Teachings and what it means to live from that recognition. We have designed a program that allows for depth whilst giving time for silence and integration. We see this as an important part of deepening, as the sessions will be tremendously rich and full. Gaunts House, Petersham Lane, Wimborne, Dorset, BH21 4JQ, (NB: Please use the BH21 4JD postcode for your Sat Nav). Our retreat takes place at the stunning Gaunts House. Set deep in the heart of the Dorset Countryside. Arrivals are from 3.30pm on Friday 12th July. The programme will start with arriving and settling at 4.30 but for those who can come only after work we start again after supper at 7pm. The programme ends Sunday 14th July at 4.00pm to be off site by 4.30pm. The ticket includes 3 meals a day. The meals will be vegetarian. If you require a vegan option please let us know.Campers will have use of showers and loos in the camping block. Campers will be able to park next to their tents. Please see our INFO AND POLICIES page for General INFO. Asokananda will be joining us over the weekend for Hatha Practise, Q&A and to bless us with his humble, heart presence. Asokananda was for several years the President of Satchidananda Ashram-Yogaville, the headquarters for all the Integral Yoga Institutes and Integral Yoga International. He is now the director of the New York Integral Yoga Institute. An excellent Hatha Yogi, he has been one of our main Teacher Training instructors for over 25 years. He helped to develop and facilitates our Intermediate and Advanced Integral Yoga Hatha Teacher Training programs, which he has taught to students in many parts of the world. 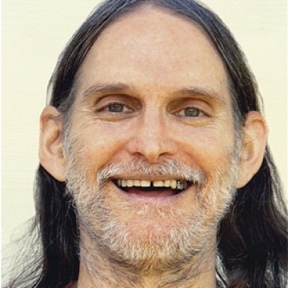 With his unique humor and enormous depth of wisdom, Swami Asokananda is a master in presenting the great teachings of Yoga in ways that are deeply relevant to key issues in modern life: for example, his teachings on self-esteem issues have inspired hundreds of students to have more confidence in themselves. Rev. Padma Devi will be joining us throughout the weekend, diving deep into practise and living from the heart through meditation. Rev. Padma Devi is a long-time disciple of Sri Swami Satchidananda and has served Integral Yoga for almost 30 years in the U.K. and Europe. She is also the founder of a yoga charity called Heart Of Living Yoga Foundation which helps some of the most disadvantaged children and their families around the world. In her teachings & meditations Padma shares the direct path of the heart. She offers satsang and teaches around the world and is a much-loved teacher by all who know her. Ananta will be taking daily Satsangs throughout the weekend - Ananta’s way of sharing includes Direct Self Inquiry, similar to the investigation of ‘Who Am I’ passed down from Ramana Maharshi. Yet it has now taken on a definite ‘Ananta’ flavour… after many years of developing in her own unique way, she finds a most easy and simple way of bringing about the Direct Experience of our True Nature and the ever deepening embodying of this realisation so uniquely to every Being who comes to her. 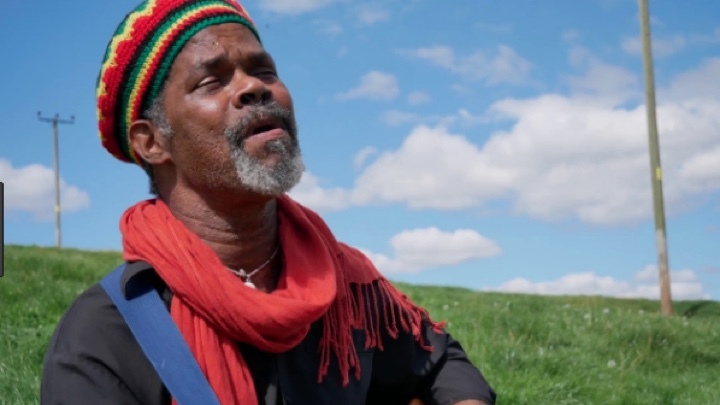 Omer Makessa is a master percussionist, experienced performer and singer and songwriter from Martinique in the Caribbean; an island with a vibrant multi-cultural music scene. Omer grew up in a musical family, introduced to music by his father from a young age. Omer will be with us all weekend playing spontaneously and set sittings - jamming with Our featured Kirtan bands. Elahn Keshava & Gisela Lirusso will be with us all weekend singing Kirtan and collaborating with our other featured artists. Elahn Keshava & Gisela Lirusso are the directors of Shekinah Yoga Retreat and ran Shekinashram, the much loved Bhakti Yoga ashram in Glastonbury UK for 14 years. During this time they ran daily and weekly programmes and retreats introducing people to the beauty and grace of the path of devotion. Having studied and practised in both eastern and western mystical traditions they synthesise their different influences into a unique blend of bhakti yoga and andean shamanism. They regularly travel internationally with their daughter Tulsi, sharing ceremonial space with kirtan, cacao journeys, vedic fire ceremonies and despachos.